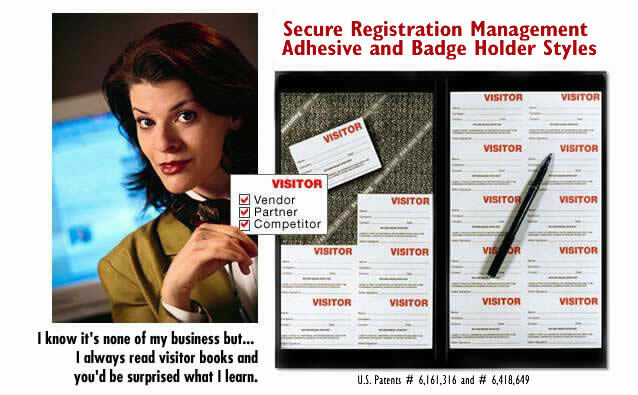 In a sealed visitor sign-in system, Invisilog provides a visitor badge or visitor pass with a confidential register to protect your staff, guests and control access to sensitive company data. Quality printed not imprinted. Sealed not spiral bound. Adhesive and Badge Holder styles available.